Home » Celebrating 41 Years! 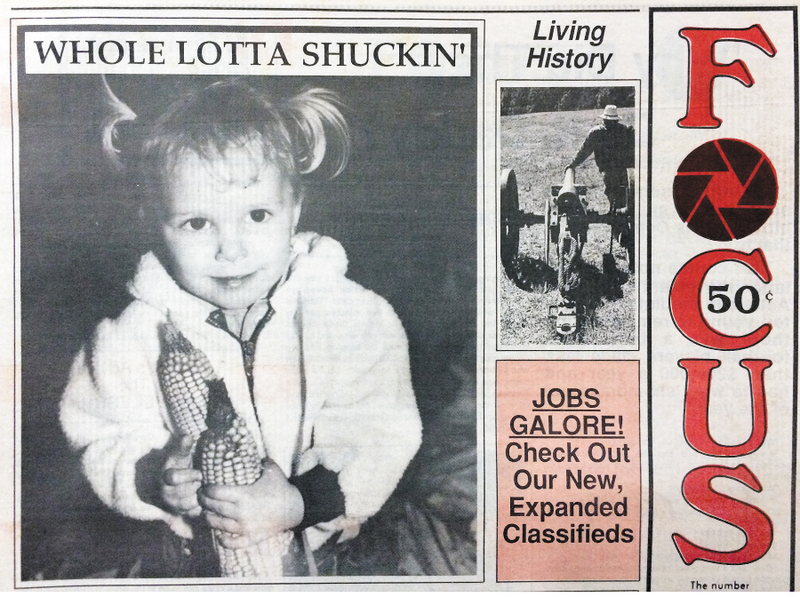 Celebrating 41 years of FOCUS, with retro ads from the past as well as pictures, stories and past Page 3 Beauties! 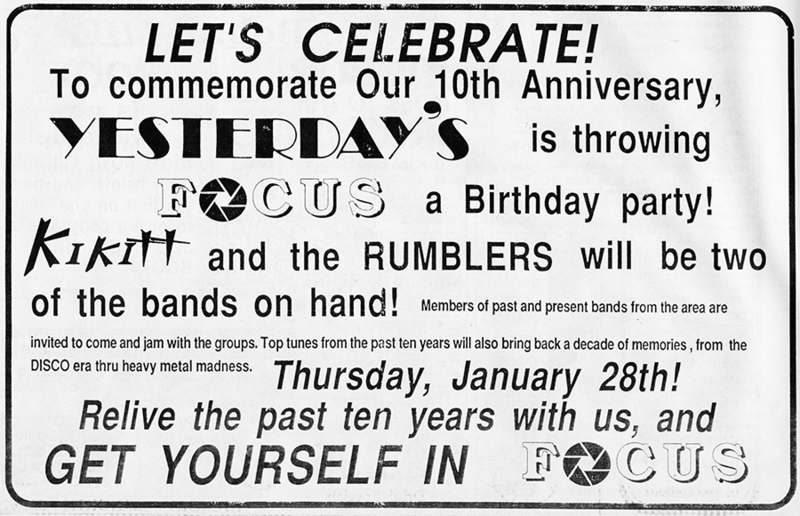 The FOCUS Staff hopes you enjoy these retro images in each category below, which celebrates all the years of FOCUS we can cram in! 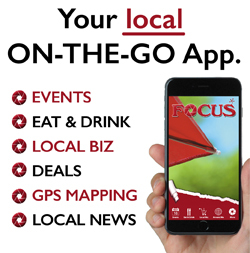 You’ll also find in the “Cover Section” below, the very first FOCUS, which the late founder, John Tucker, no doubt toiled over in the nights prior to publication. Many thanks to our loyal clients & readers! Cover published on February 15, 1979. Cover of FOCUS published December, 24, 1987. Cover of FOCUS published September 17, 1987. 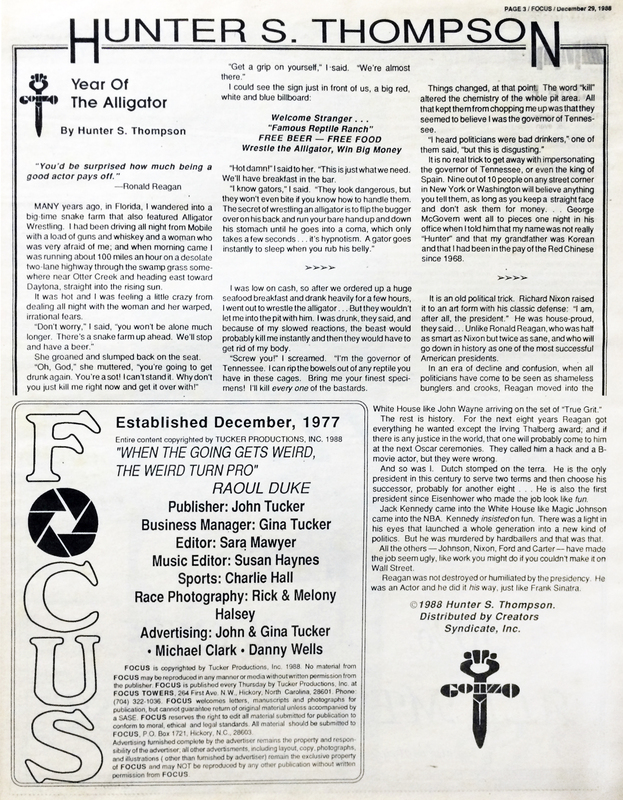 First FOCUS Cover published January 6, 1978! Cover published January 8, 1979. Cover published August 14, 1980. 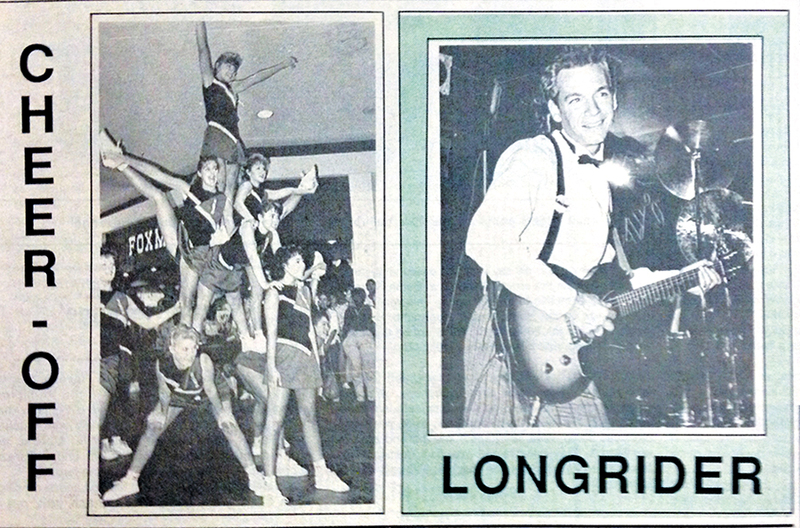 Lower portion of cover published December 8, 1988. Cover published July 13, 2006. FOCUS cover published December 29, 1998. 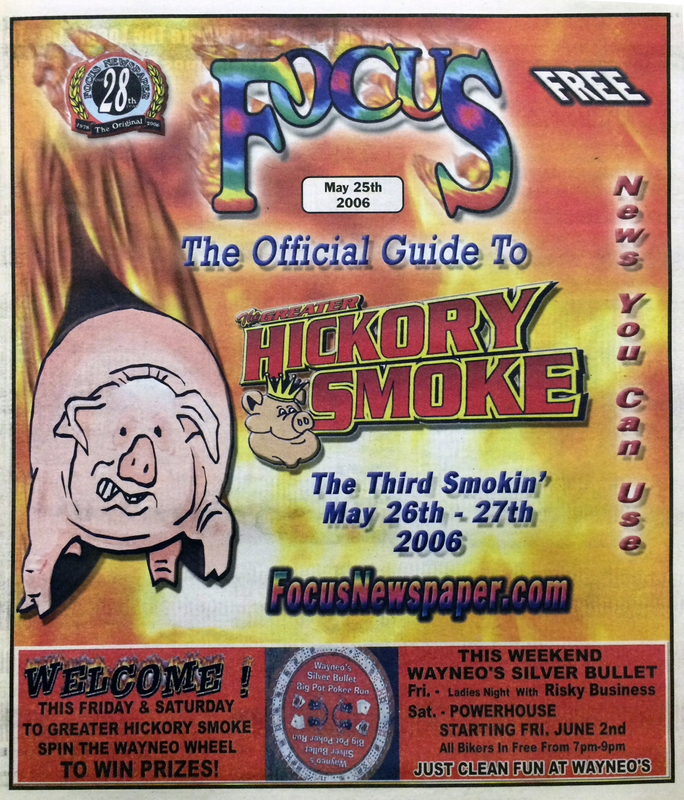 FOCUS cover published May 25, 2006. 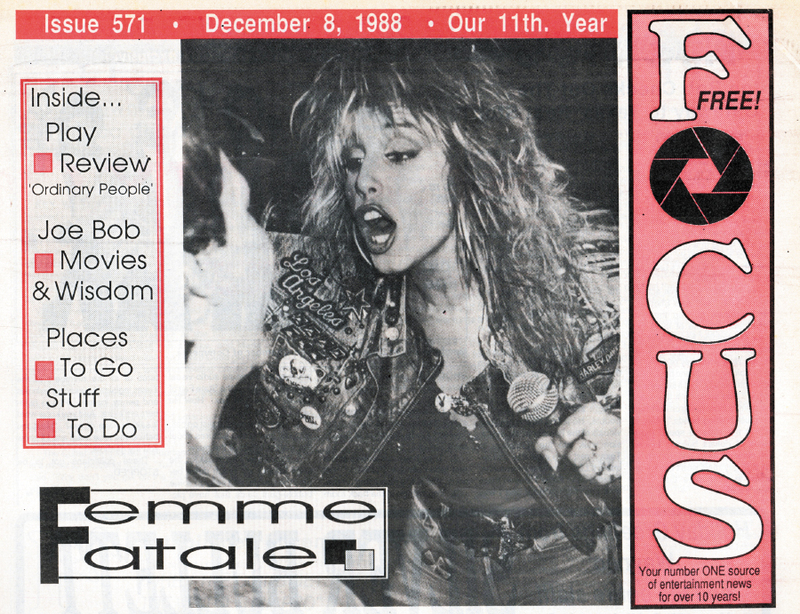 FOCUS cover published December 16,1988. Cover published June 2, 1988 with a Happy Birthday feature photo of the founder, John Tucker in a sombrero! Cover published December 8, 1988. Cover published October 8, 1987. Focus Cover published October 16, 2008. 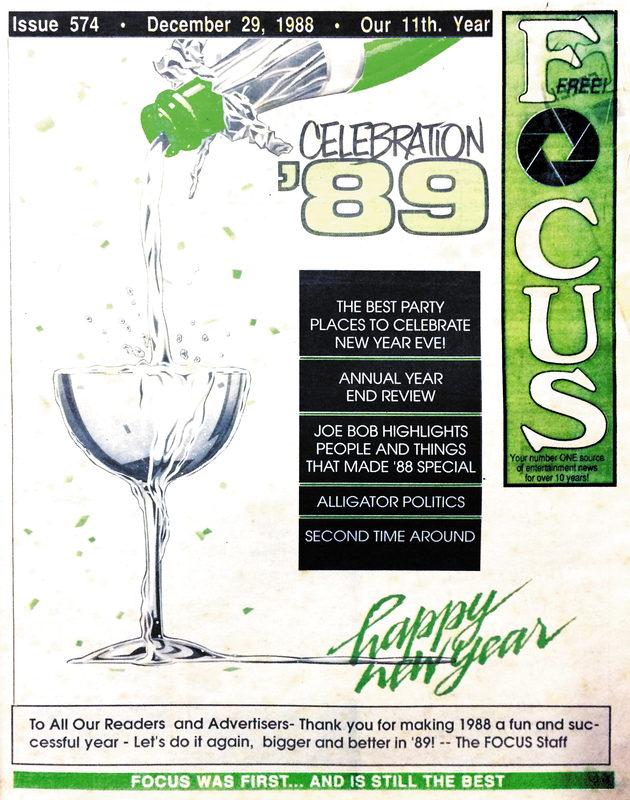 Images on the cover of Focus published July 18, 1985. Cover published in May 8, 1980 issue of FOCUS. Cover of FOCUS published June 25, 1987. Page 3 beauty published September 24, 1992. Page 3 beauty published August 20, 1993. Page 3 beauty published on January 21, 1993. Page 3 beauty published January 14, 1994. This Page 3 was published May 25, 2006. “The Underground Gourmets” Column by Burp & Slurp published May 8, 1980. Article published in March 8, 1979 issue of FOCUS. Article published October 4, 1979. 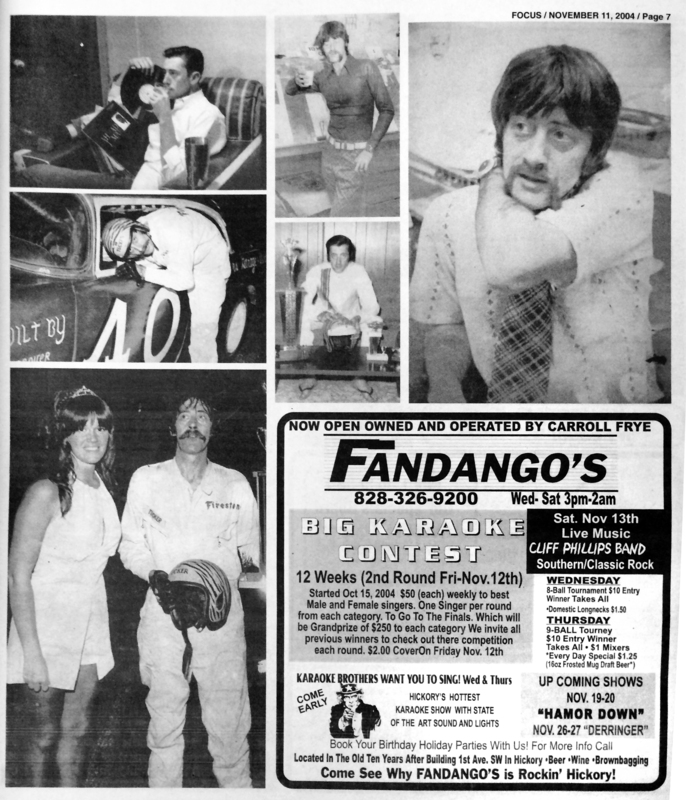 In Memory photos from late publisher John Tucker, Jr. as well as advertisement for Fandango’s published November 11, 2004. It can be assumed that few self-respecting publishers of alternative newspapers or magazines in the 1970s, 80s & 90s would decline to print Hunter S. Thompson, the great disrespecter of all things conventional in journalism and elsewhere. John Tucker ran Thompson’s column and those of many other unconventional writers. If you’re not familiar with Thompson, we’ll leave it to you to look him up online. His career started off with being fired from Time magazine for insubordination in 1959. This piece of Thompson’s is rather tame, but completely typical of his unique talent. 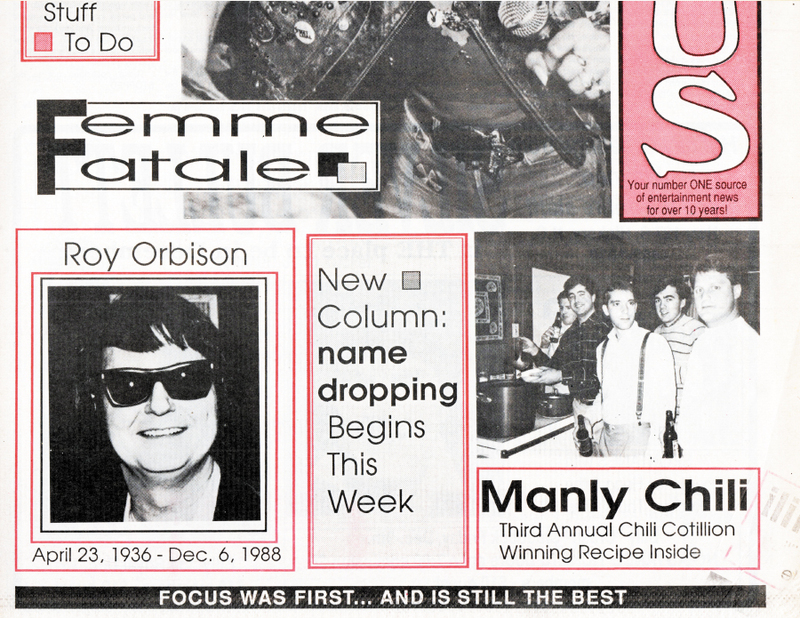 Article by Hunter S. Thompson published December 29, 1988. 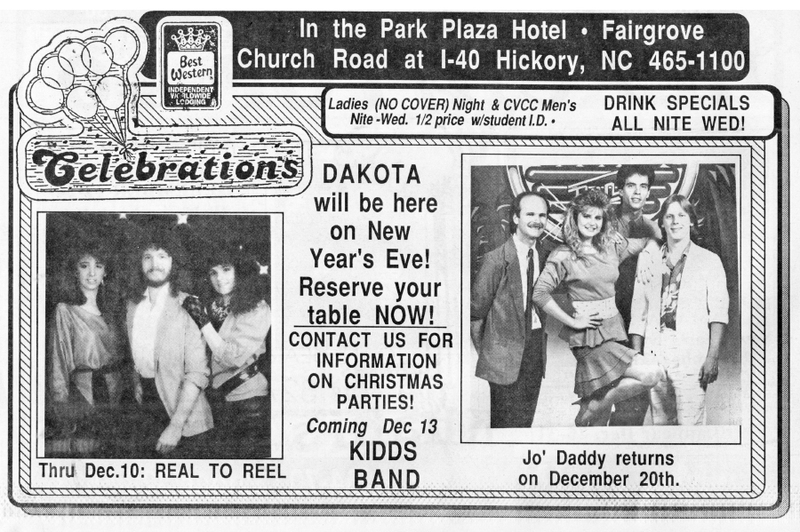 Advertisement for Cadillac’s Bar and article for Hickory Community Theatre published December 8, 1988. 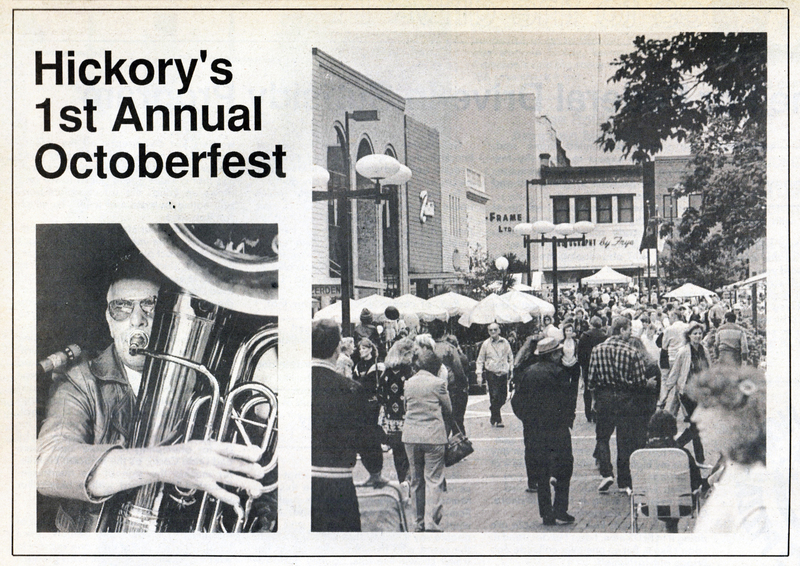 Photos from Hickory’s 1st Annual Oktoberfest published October 16, 1986. 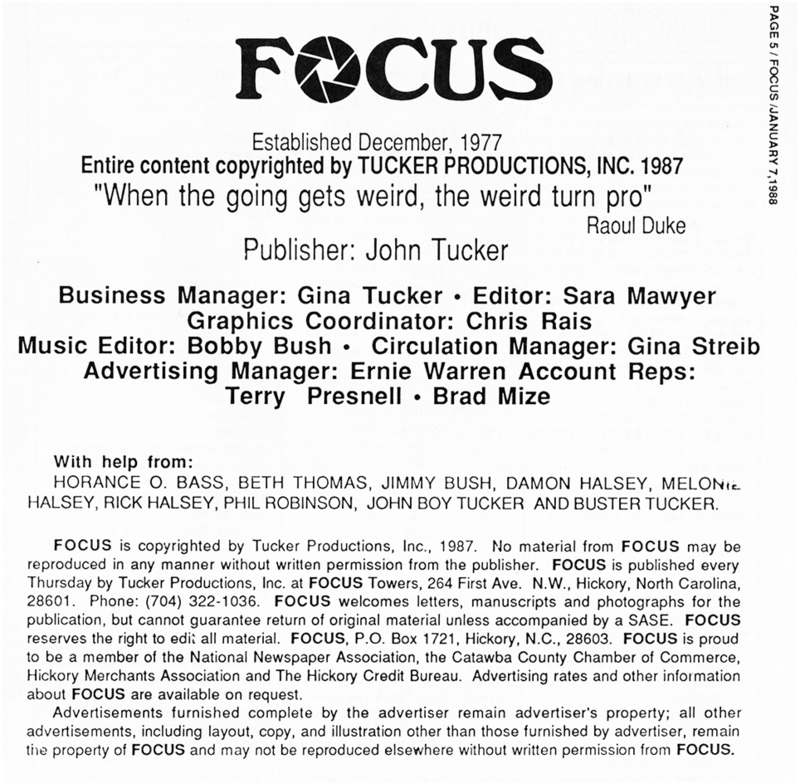 FOCUS Masthead published on January 7, 1988. 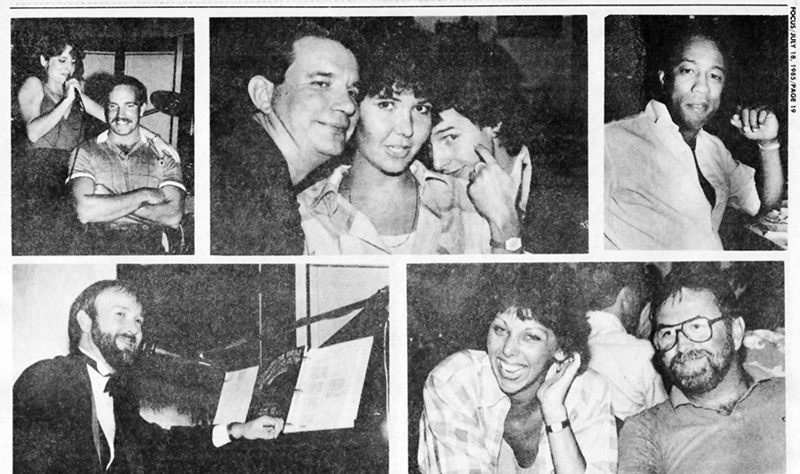 Article published January 28, 1988. Letter published January 7, 1998. Swimsuit models from a retro issue published May 6, 1993. Photos by publisher, John Tucker. Article published in June 14, 2001 issue. 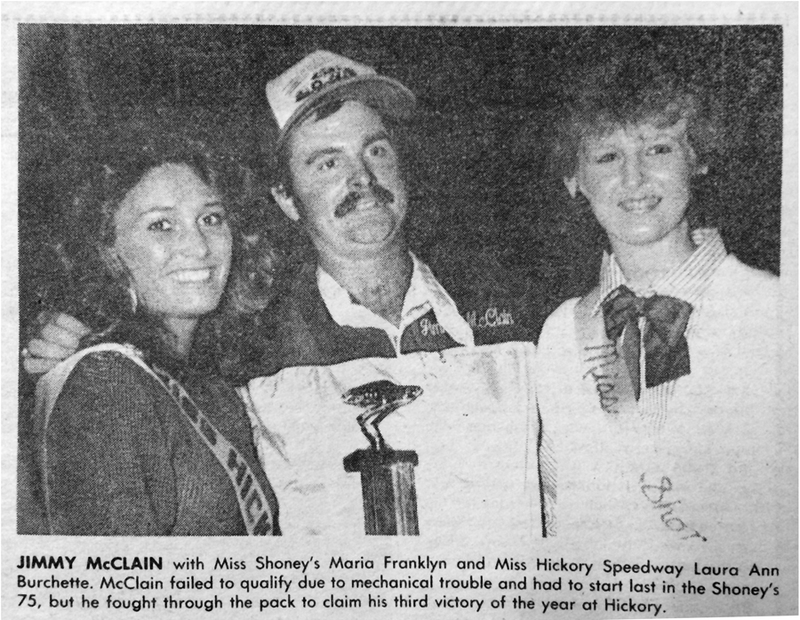 Racing article published in July 25, 1985 issue. 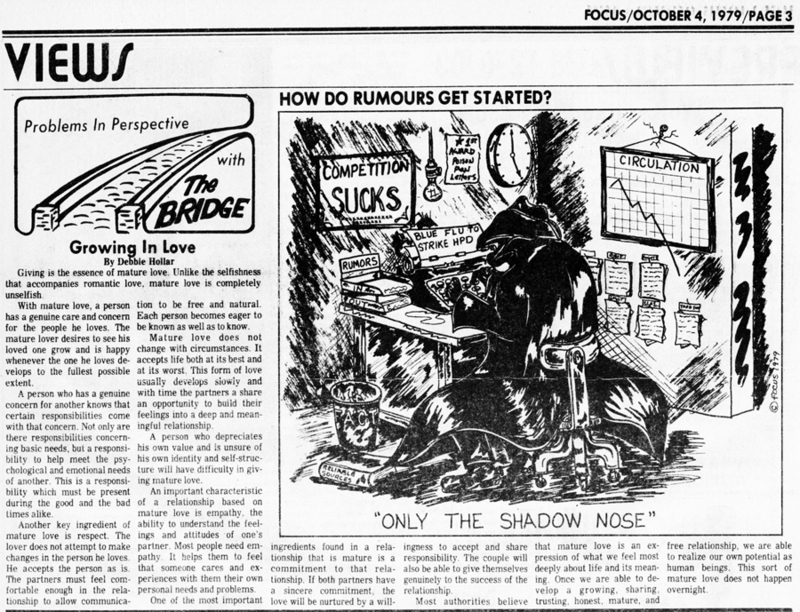 Article and cartoon published in October 4, 1979 issue of FOCUS. 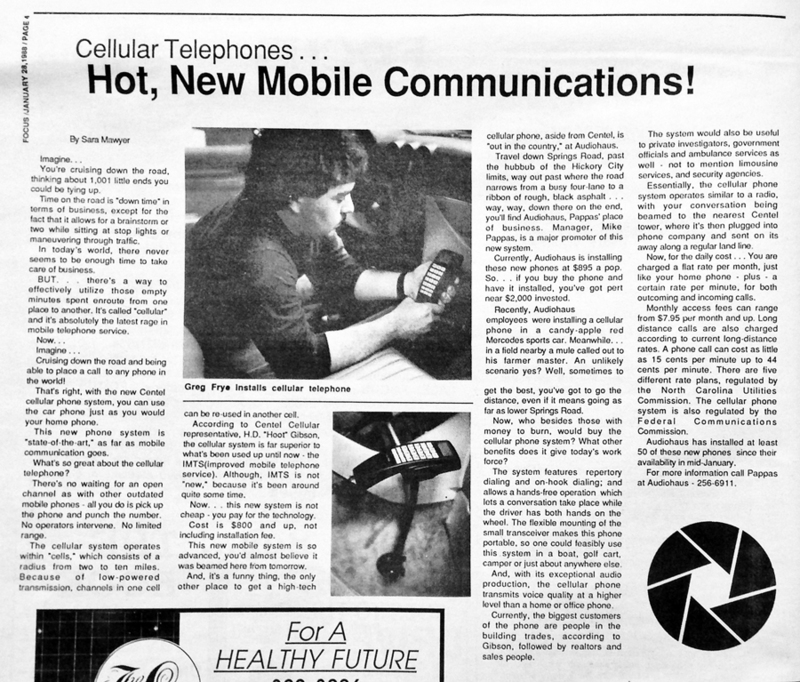 Article published in July 18, 1985 issue of FOCUS. Doonesbury comics published July 25, 1985. 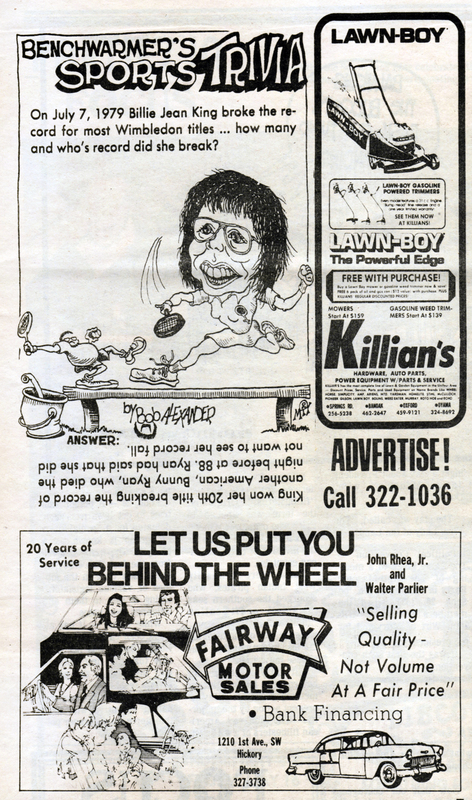 Advertisements for Killian’s and Fairway Motor Sales along with Benchwarmer’s Sports Trivia. Cartoon published February, 15 1979. Advertisement published in the February 15, 1979 issue of FOCUS! Ad published in January 8, 1979 issue of FOCUS. Advertisement published in April 11, 1991 issue of FOCUS. 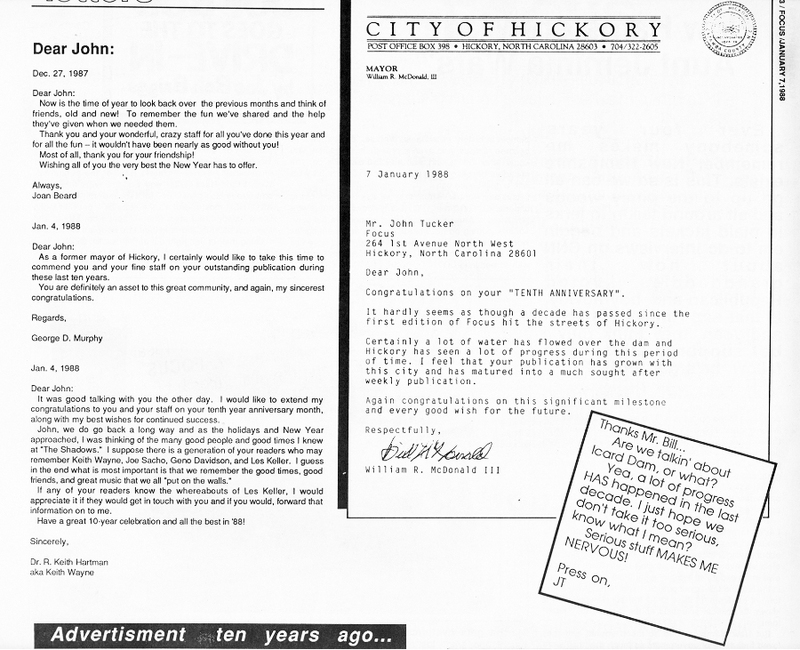 Advertisement published in the January 5, 1995 issue. 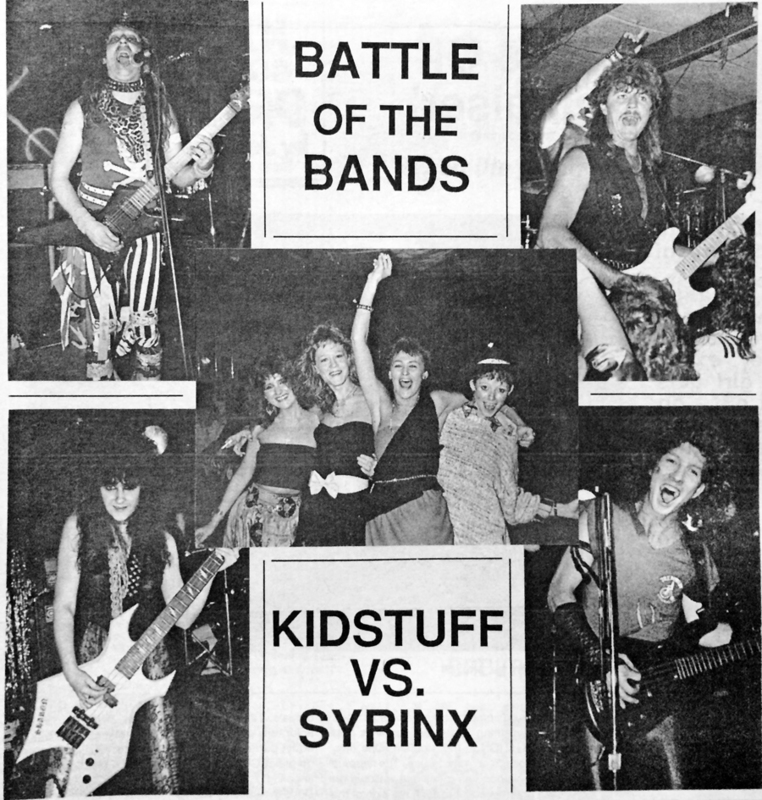 Advertisement published in the November 10 1988 issue. 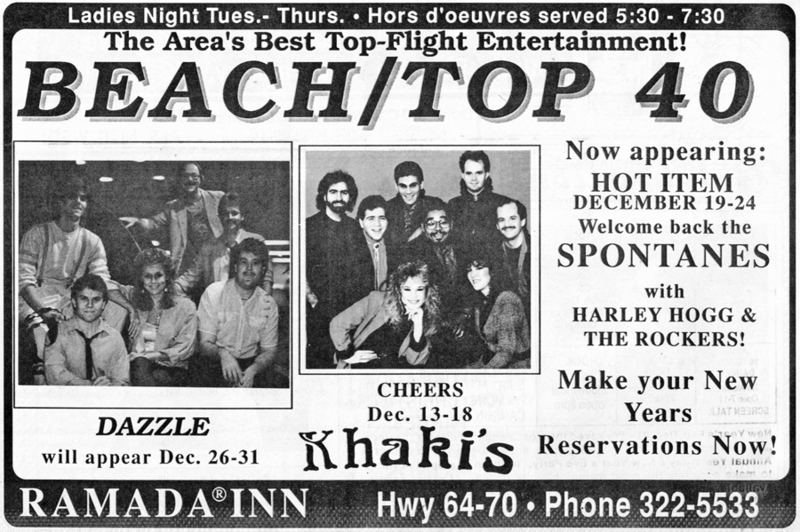 Advertisement published in the December 30, 1992 issue. Advertisement published in the June 25, 1987 issue. Advertisement published in the July 14,1988 issue. Advertisement published in July 21, 1988 issue of FOCUS. Advertisement published in June 18, 1987 issue of FOCUS. 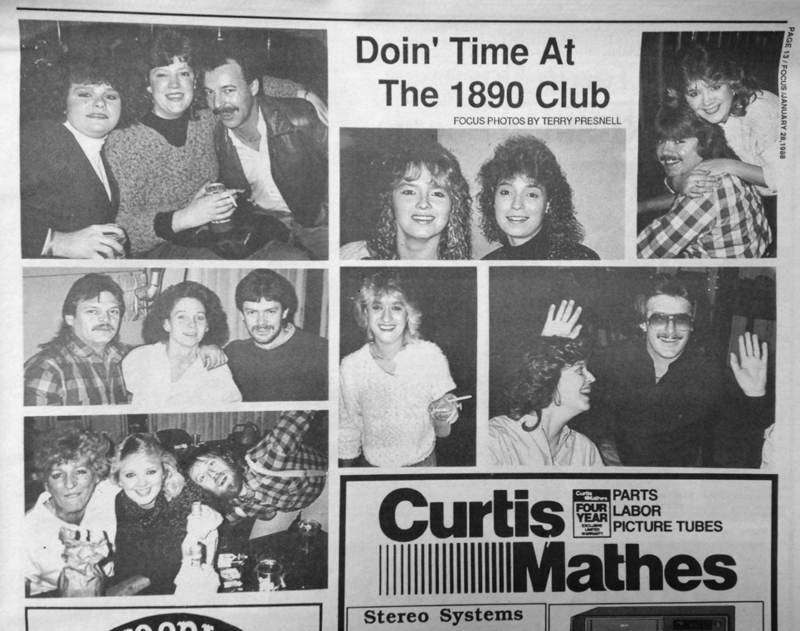 Advertisement published in the July 21,1988 issue. 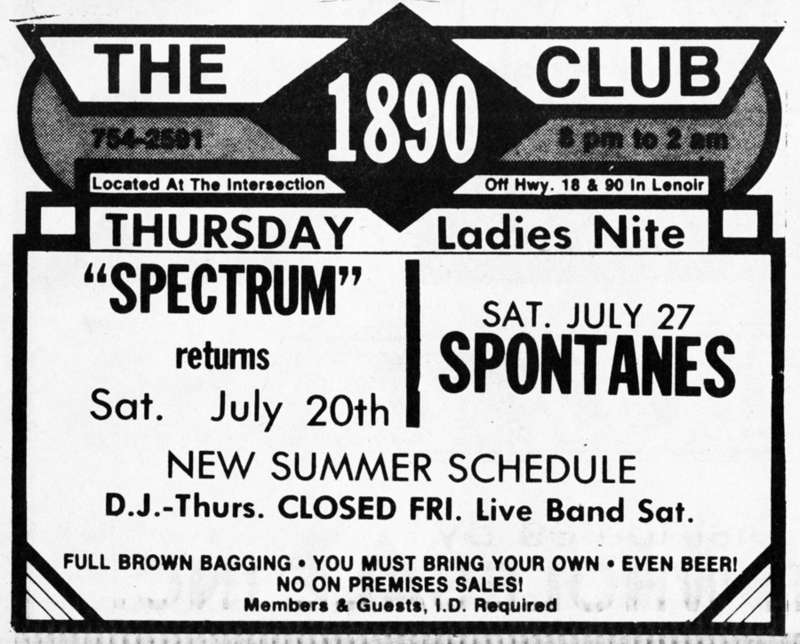 Advertisement published in the July 28,1988 issue. 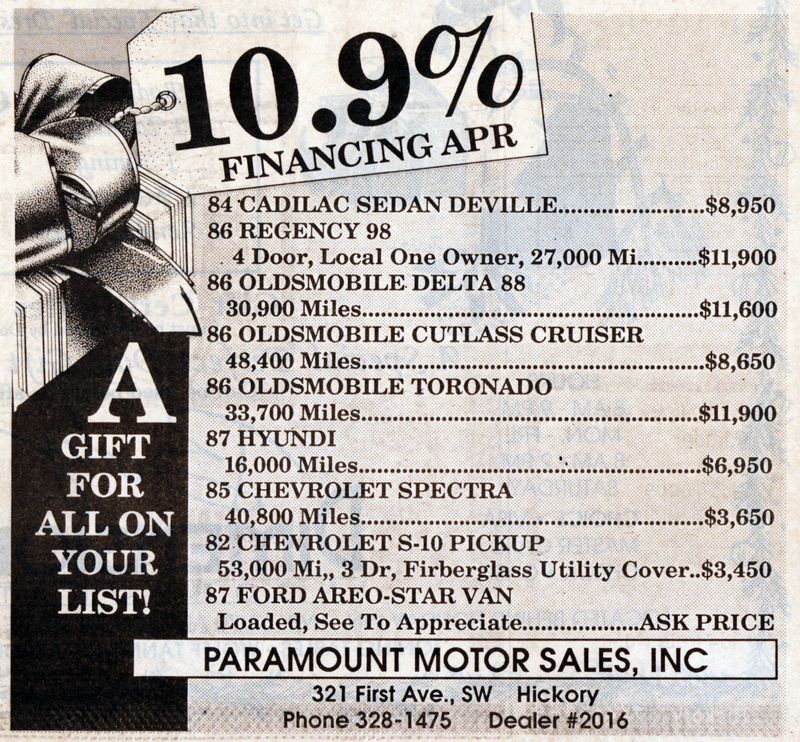 Advertisement for Paramount Motor Sales, Inc. published December 8, 1988. 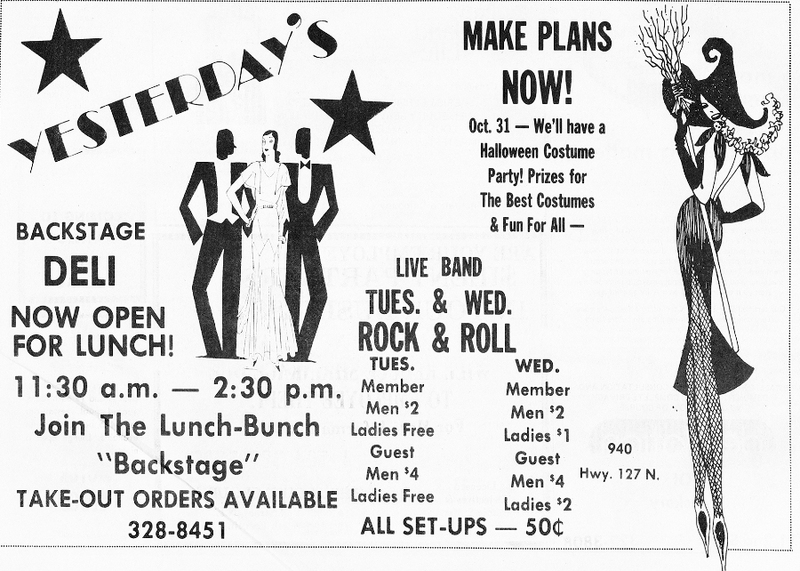 Advertisement published October 4, 1979. Advertisement published May 8, 1980. 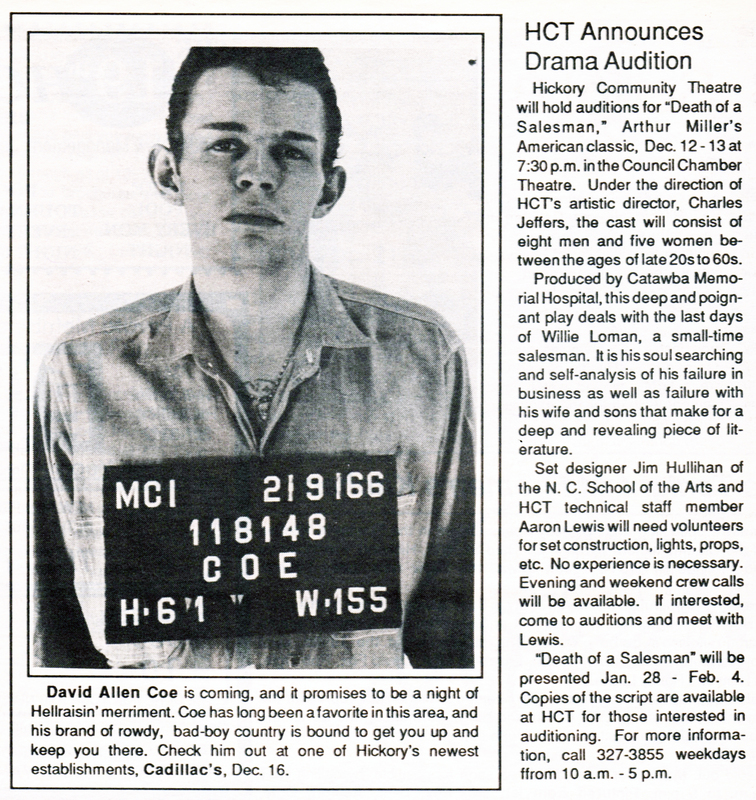 Advertisement published August 16, 2007. 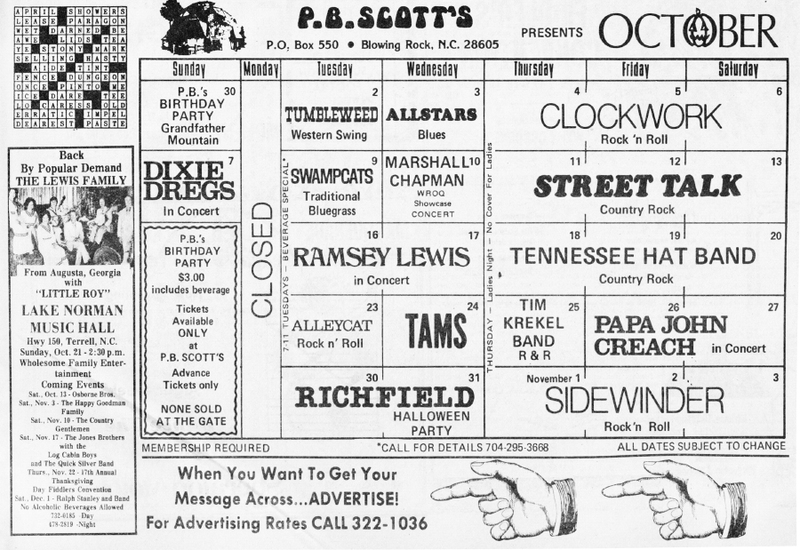 Advertisement for The Palace published April 4, 1991. 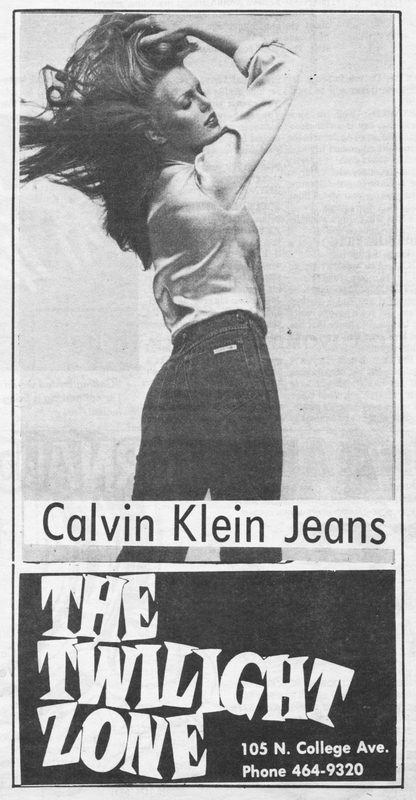 Advertisement for Calvin Klein Jeans and The Twilight Zone published October 4, 1979. 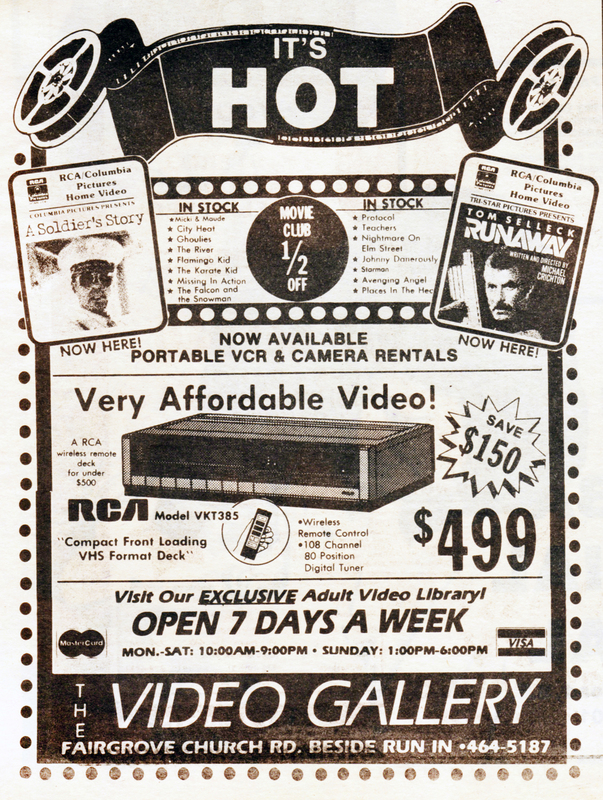 Advertisement for The Video Gallery published July, 18, 1985. Movie Advertisements published May 8, 1980. 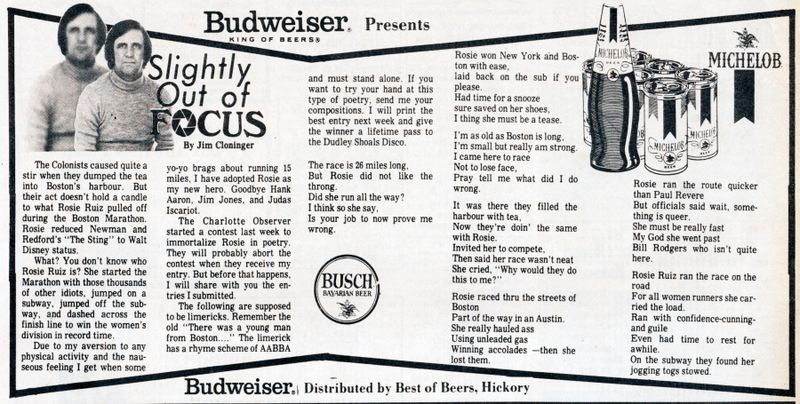 Advertisement for Rooster Bush published April 4, 1991. 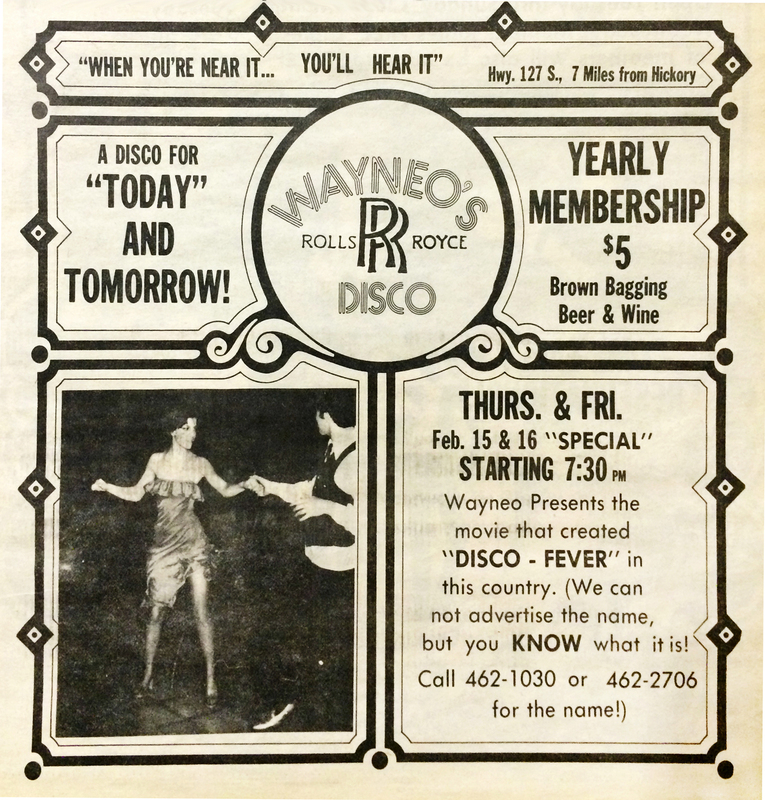 Advertisement for Wayneo’s Rolls Royce Disco (currently Wayneo’s Silver Bullet) published February 15, 1979. 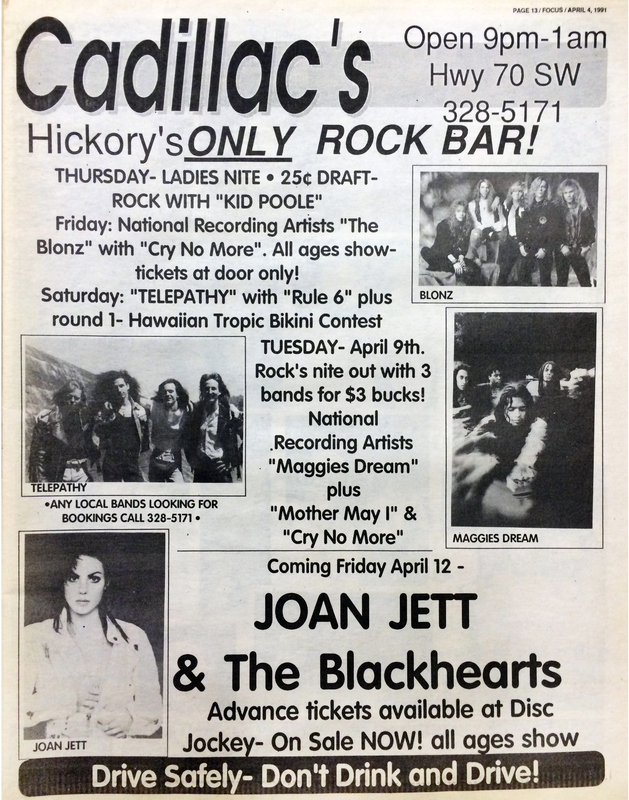 Advertisement for Cadillac’s Bar published April 4, 1991. Ad published December 29, 1988. 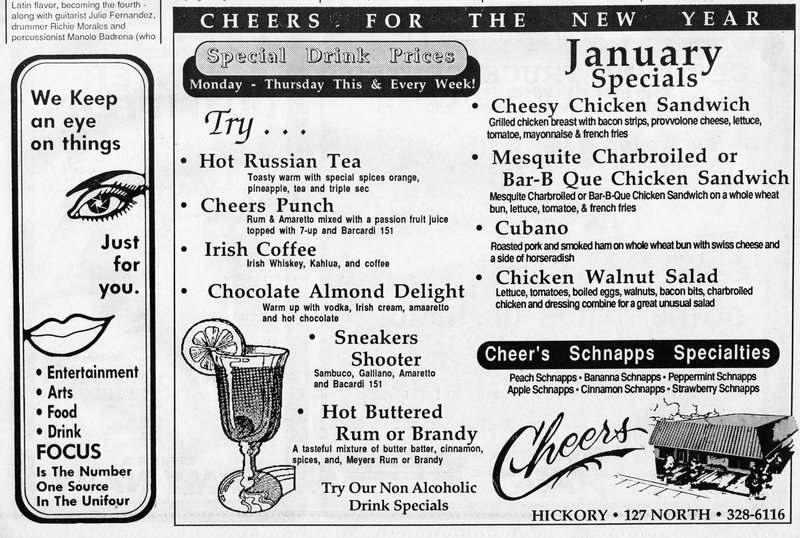 Advertisement for Cheers published January 7, 1988. Best Western Ad published December 8, 1988. 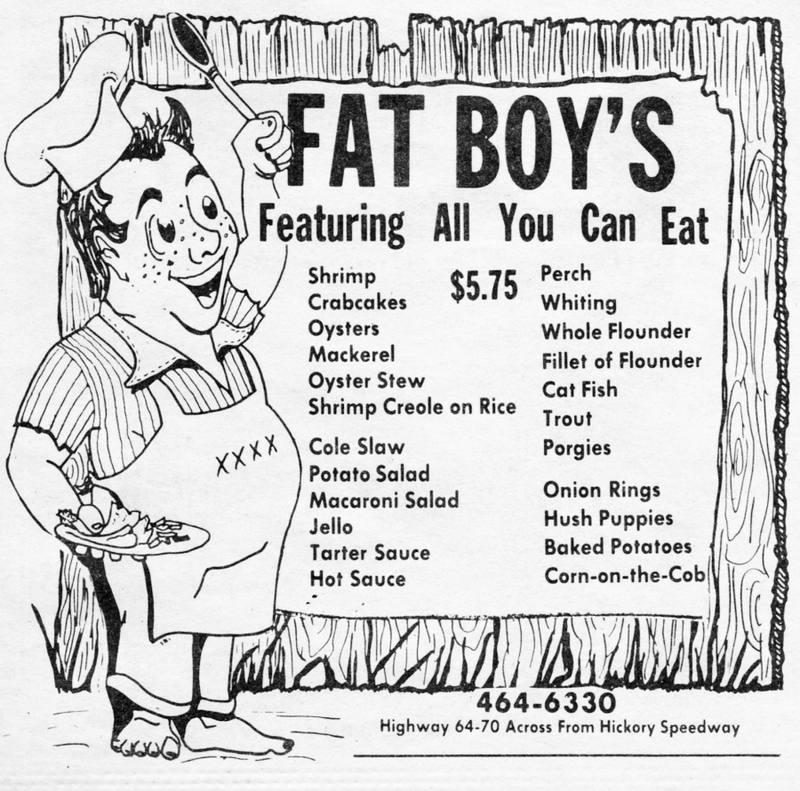 Fat Boys Ad published May 8, 1980. 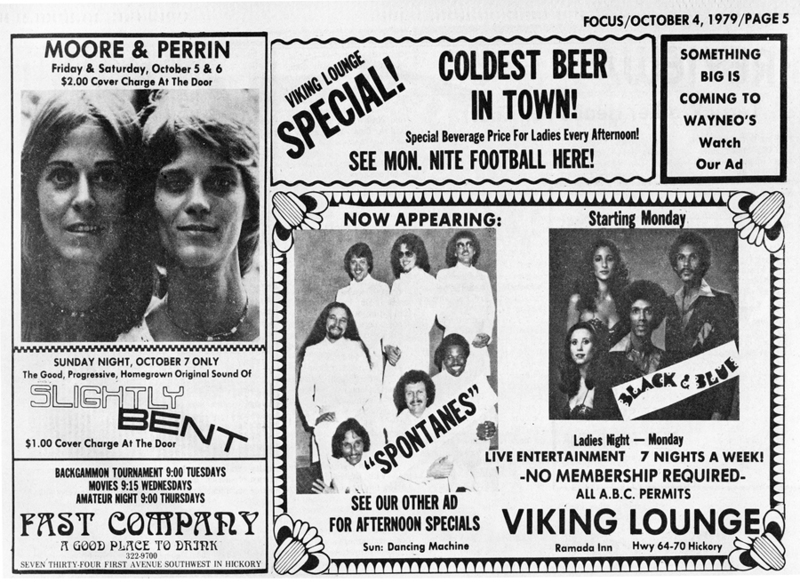 Yesterdays Ad published October 4, 1979. Ad published July, 25, 1985. Khaki’s ad published December 8, 1988. Advertisement published July 18, 1985. Advertisement for Rent A Spa & Pro Fitness published June 30, 1988. Gas Light West Advertisement published July 18, 1985. 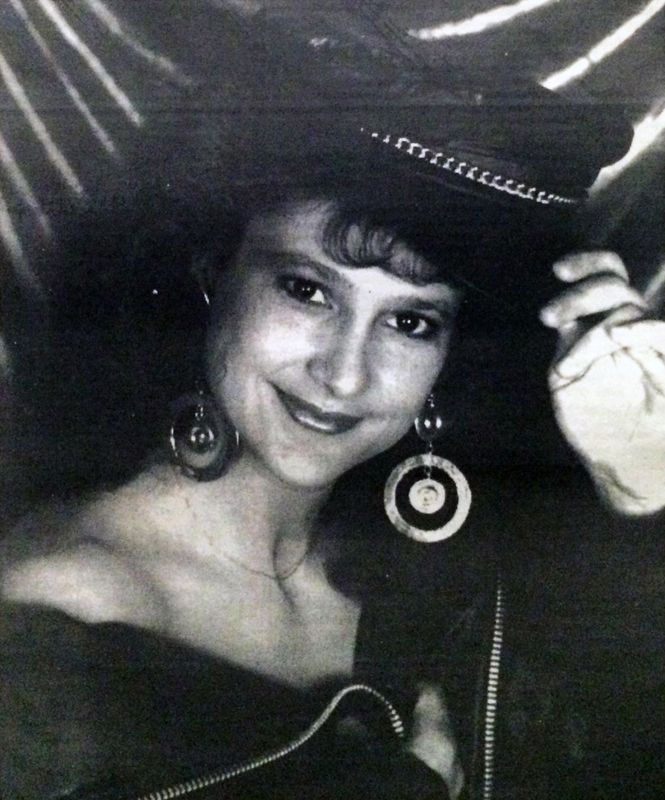 Advertisement for Paige One published in July 18, 1985 issue. 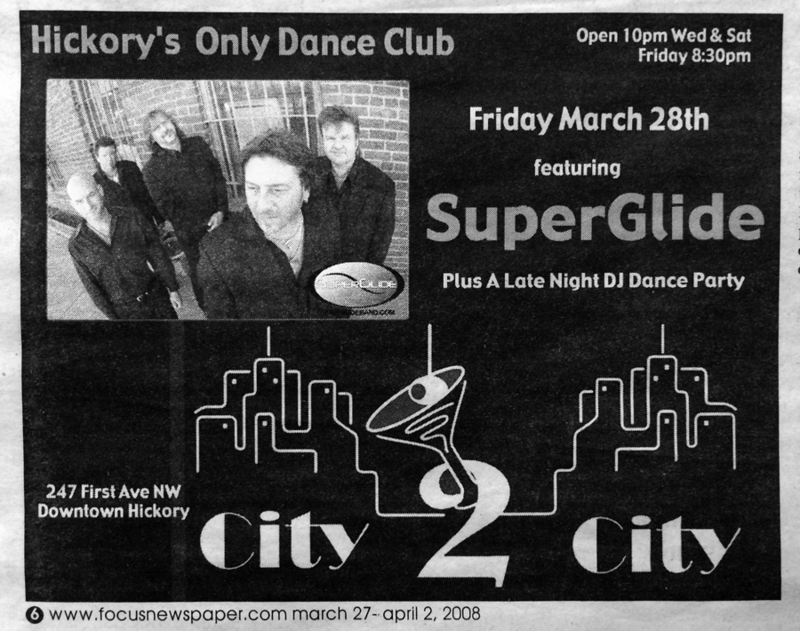 City 2 City Ad in FOCUS issue published March 27, 2008. Advertisement published in October 19, 2000 issue of FOCUS. Advertisement published in October 9, 1986 issue of FOCUS. 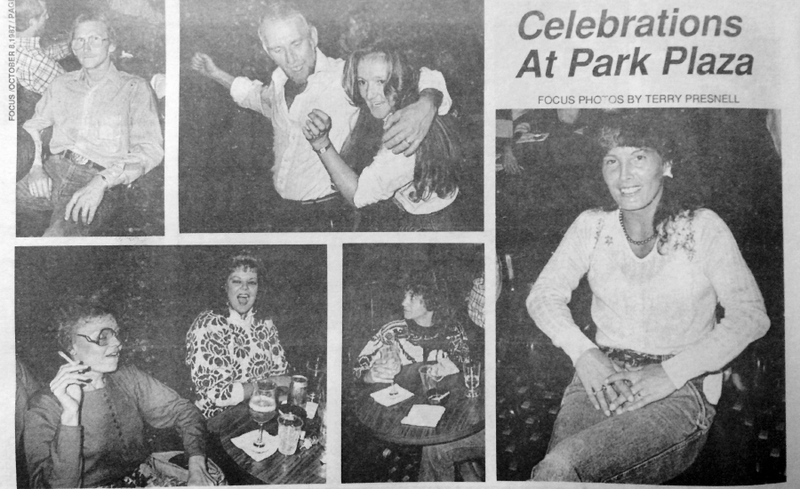 Photos published in the November 10,1998 issue. Found Around Town published October 1, 1987. Found Around Town published in July 25, 1985 issue of FOCUS. 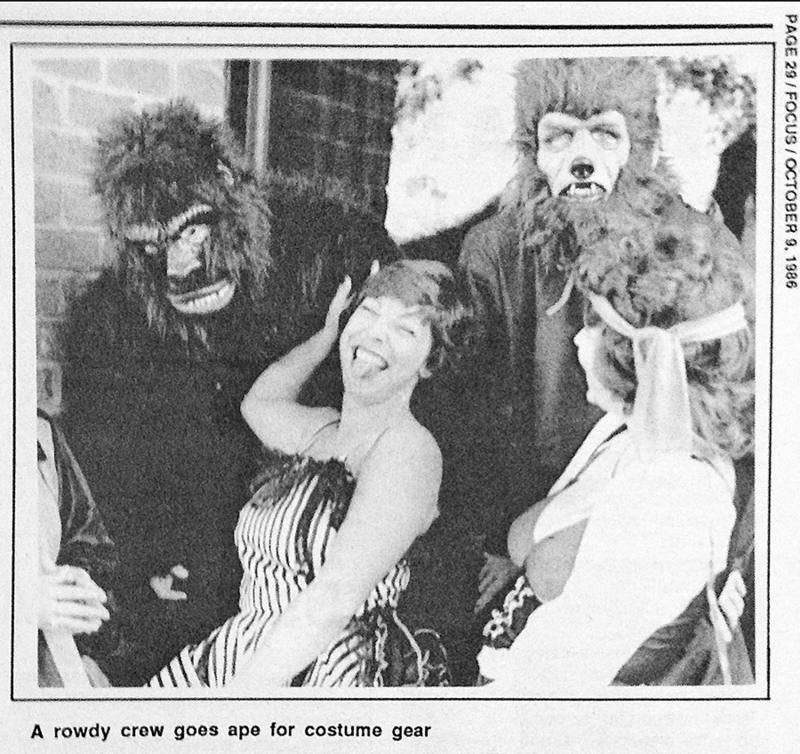 Published in FOCUS on October 9, 1986.